Marion Davies was born Marion Cecelia Douras in Brooklyn, New York on January 3rd, 1897, and she attended school at the Convent of the Sacred Heart at Hastings-on-the-Hudson. Marion's father was Judge Bernard Douras, a City Magistrate of New York. Marion and her sisters enjoyed performing from an early age. Her first professional appearance on the stage was in a popular musical comedy show called "Chin Chin", where her beauty was noticed by the famous illustrator Howard Chandler Christy. He painted her as "Morning." Other famous illustrators and artists of the period sought Marion out to be their model as well: Harrison Fisher, Montgomery Flagg, Haskell Coffin, Penrhyn Stanlaws, Nell Brinkley, and Hamilton King. However, Marion wanted to be an actress more than just a model. She appeared in the Ziegfeld Follies in 1915 as a dancer, and in the Broadway shows "Betty" and "Oh, Boy!". She made friends easily because she was so outgoing and fun. She then made her film debut for Pathé in "Runaway Romany", for which she also wrote the scenario and designed the title cards. This experience gave her a good foundation for her future film career. For her own production company, the Marion Davies Film Corporation, she made five films, including "The Belle Of New York" (1919) and "April Folly" (1920). After that Marion was the featured actress for William Randolph Hearst's film company Cosmopolitan Pictures for several years. 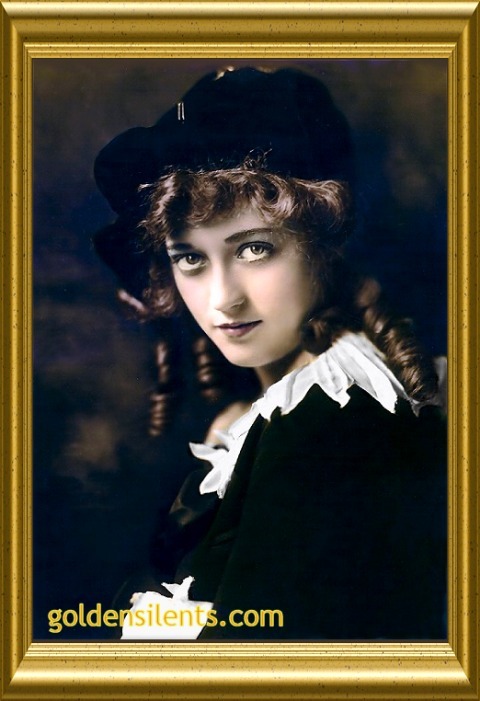 Although she had an on-again, off-again personal relationship with the tycoon it is certain that Marion, with her looks and exceptional talent, especially as a comedienne, could have succeeded on her own in films without his assistance and money. 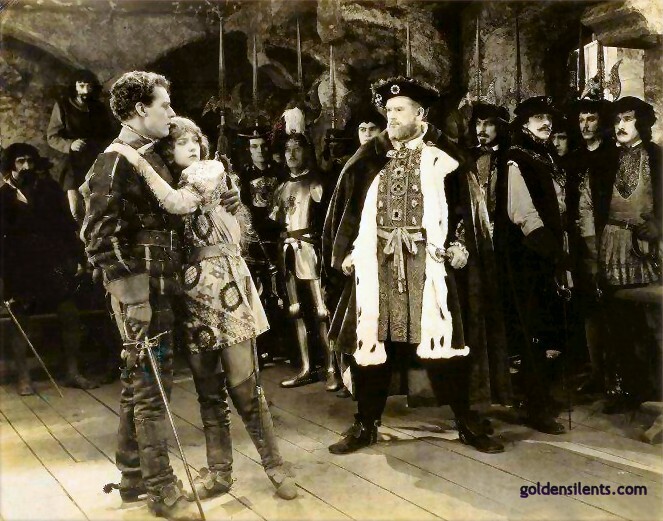 For Cosmopolitan, Marion's films of note were mostly costume dramas, including "When Knighthood Was in Flower" (1922), in which she played Mary Tudor, and "Little Old New York" (1923), in which she appeared dressed as a boy through most of the film. 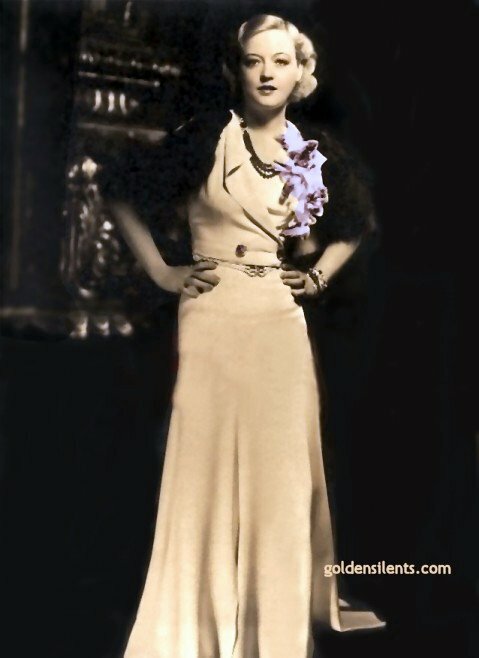 Marion really came into her own when she was signed by M-G-M and began to make comedies, such as the film "Show People" (1928), a nostalgic vehicle which featured many of the stock players and stars of that famous studio in cameo appearances, and "The Patsy" (1928) in which she proved delightful as a young flapper who falls in love with her sister's beau. Because she spoke with a slight stutter, Marion's voice had to be retrained when sound arrived to movies. But with her usual persistence she did well, and made several memorable comedies and musicals during the 1930's, including "Marianne" (1929), "The Florodora Girl" (1930), "Blondie of the Follies" (1932), and "Going Hollywood" (1933) with Bing Crosby. Marion's last film was made in 1937. Cosmopolitan Pictures folded, and Marion retired from the screen. She retreated to San Simeon, Hearst's castle in California, and helped to make it a showplace. Kind and generous, Marion was involved with much charity work, especially children's' charities. Every year she personally handed out thousands of gifts to poor children in orphanages and schools. After the death of Hearst in 1951, Marion married for the first time at the age of 54, to former actor Horace Brown (who bore a rather uncanny resemblance to Hearst), though it proved not to be a very happy relationship for Marion, certainly not as happy as the one she had with Hearst for so many years. Marion Davies died from cancer, on September 22, 1961, in Los Angeles, California. Thankfully more people are discovering the delights of Marion's' silent and sound films and no longer associating her with the classic film "Citizen Kane", which painted a false picture of the real Marion Davies and her vast talents and exuberant personality.